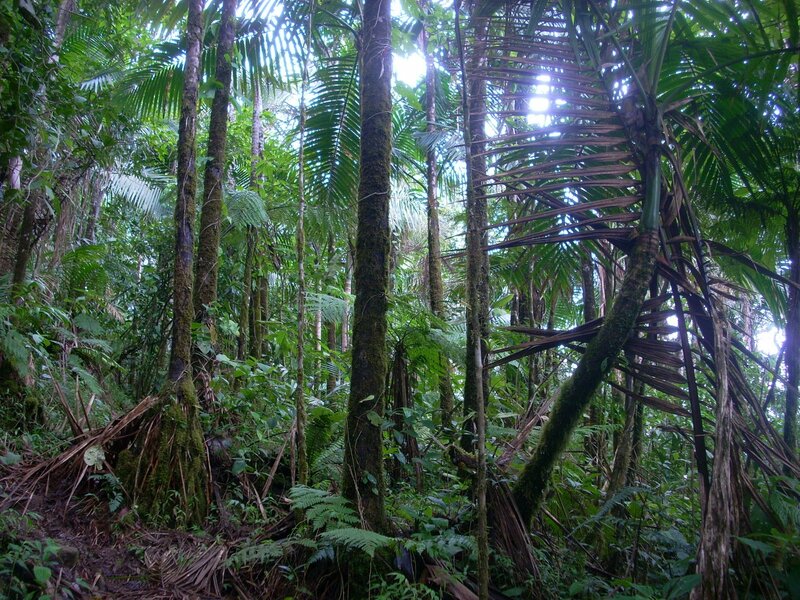 Recently named one of the 30 greenest countries in the world, the Dominican Republic still has more than 40% of its original forests. It is home to some of the world´s most spectacular beaches, sub tropical rain forests, vast dry forest, and cloud forest and pine forest found the highest mountain ranges in all the Caribbean, the richest biodiversity in the region, and over 100 nature preserves countrywide, the Dominican Republic is a nature lover´s dream come true and one of the most important conservation areas in the world. The Dominican Republic occupies the eastern two-thirds the island of Hispaniola, which it shares with the Republic of Haiti. The country is the second-largest island in the Caribbean, with a surface area of 48,198 square kilometers. The Dominican Republic is located in the heart of the Caribbean, surrounded to the north by the Atlantic Ocean and to the south by the Caribbean Sea. The population of the Dominican Republic is over 10 million people. The Dominican Republic enjoys a tropical climate year-round. Depending on your location, a typical day could have full sun or a combination of sun and clouds. Its average annual temperatures ranges from 25° to 31° C (78° to 88° F). The coldest season is between November and April, and the hottest season is between May and October. Local time is Caribbean Eastern Time (GMT -0400). In the winter it is an hour ahead of Eastern Standard Time in the United States. The Dominican Republic does not practice daylight savings time, as is customarily done in the United States. The capital of the Dominican Republic is Santo Domingo, which has a population of almost 2.5 million inhabitants. 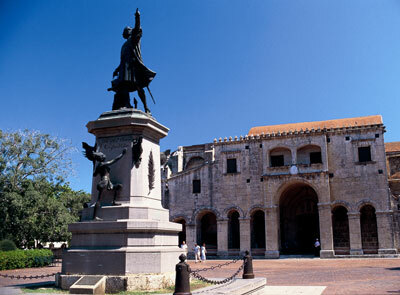 Santo Domingo is the oldest city in the New World. The Dominican Republic’s political structure is based on democratic principles. Every four years the country elects its president, vice president and legislators. Spanish is the official language of the Dominican Republic. However, you will be surprised by the great number of hotel and tourist destination employees who speak relatively good English, French, German and Italian. If visitors who do not speak Spanish wish to venture outside of the tourist areas, it is advisable that they learn some basic phrases in Spanish. The Dominican Peso (RD$) is the official currency of the Dominican Republic. You can find out the exchange rate at the following website: www.xe.com/ucc. Major credit cards and travelers’ checks are accepted at many of the country’s tourist locations. ATMs are located in almost all of the Dominican Republic’s cities, as well as at most resorts (only Dominican Pesos (RD$) are available through ATMs). 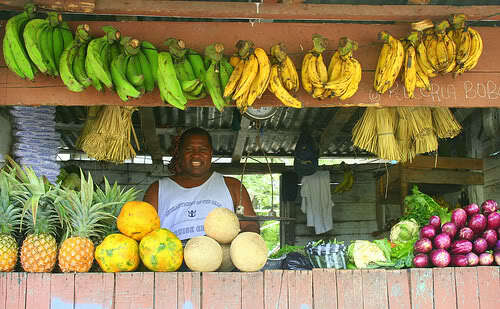 Dominican culture is as varied and colorful as the land itself. It is the result of several different races coming together during the country’s development to form the cultural and social identity of the people. The influence of these diverse people can still be seen today. European, African, and indigenous Taino Indian culture are still expressed in the country’s art, music, food, sports, and religion. Together, these seemingly separate cultures create the distinct identity of the Dominican people. The Dominican Republic has a rich and multi-faceted culinary history. Flavors from all around the world come together to form the unique Dominican style. In just one dish, you can taste influences from Spain, France, and Germany. In the early days of the country, the main ingredients on Dominican menus were rice, meat, beans, plantains and vegetables, along with fresh fish and sea food. These early recipes still shape the dishes that are served on a daily basis. The Dominican Republic’s national dish is called the “flag”. It is made using white rice with red beans, accompanied by a portion of beef or chicken and a salad or “tostones” (fried slices of green plantain). This is followed by “moro” and “locrio” rice dishes. The menu continues with tasty stews and soups, such as “sancocho” soup known as a “national dish”. They also frequently enjoy “asopao” stew, braised goat, and other dishes such as “mangú” (green plantain, boiled and mashed), casseroles, pasteles en hojas (turnovers wrapped and cooked in banana leaves), pork and chicken rinds. However, the country’s artistry extends well beyond food. The Dominican Republic has a wide range of art, including some which still carry Taino Indian motifs. Dominican jewelry is made of amber, larimar, bone, horn and coconut husk. While clay, porcelain, wood, leather, hemp and guano also serve as the basis to create the most diverse articles and figures for personal, decorative, domestic and religious use. Baseball is a very important sport to the Dominican people. It is both their national pastime and a major source of national pride and identity. In fact, almost 40 percent of players in the U.S. Major League Baseball (MLB) and minor leagues come from Latin America. The Dominican Republic produces the most MLB players outside of the U.S. including famous Dominicans such as Pedro Martínez, Alex Rodríguez, Albert Pujols, Hanley Ramírez, Sammy Sosa, Vladimir Guerrero and many more. “Ball”, as it is popularly called, arrived in the Dominican Republic during the last decade of the 19th century. Professional teams were organized at the beginning of the 20th century, and many say that the best quality baseball in the Caribbean is played on this island. In the Dominican Republic, there is freedom of worship. However, the majority of the population are Christian, mostly Catholic, followed by Evangelicals and others who belong to various beliefs. 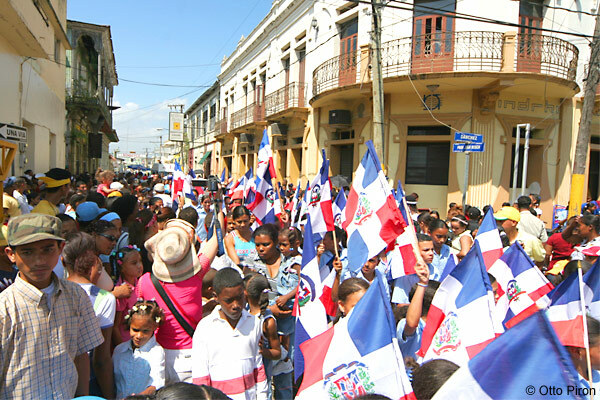 Among Dominican festivals and holidays, there are the following national holidays: January 26, day of the patriarch Juan Pablo Duarte; February 25, day of the patriarch Ramón Matías Mella; the National Day of Independence, February 27; March 9, day of the patriarch Francisco del Rosario Sánchez; then the Restoration of the Republic on August 16; and Constitution day on November 6. These are followed by numerous popular religious festivals in each region of the land, however, the most important of these in popular Dominican culture is the Carnival, a celebration recreating liberty, integration and identity, where masks, exaggeration, sarcasm, the unusual, the satirical, the grotesque and the imaginary are the basic characteristics. 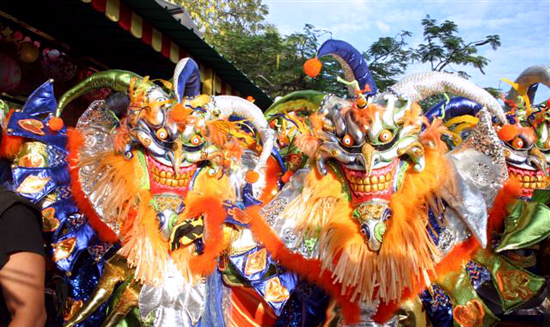 Carnival is celebrated in nearly all the villages of the country on Sundays during February and March. As the first city founded in the Americas and the Dominican Republic’s capital city (named the Cultural Capital of the Americas in 2010), Santo Domingo boasts a valuable collection of museums, culture, historic sites, monuments, arts and music and more. The Colonial City, located inside Santo Domingo is the first city of the America’s and features the first street, hospital, university and cathedral in the Americas, along with ancient buildings, parks and streets where Spanish conquistadors once strolled.